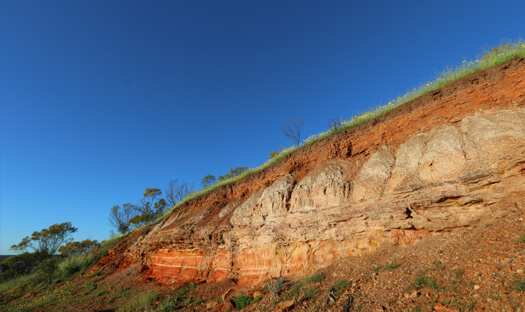 We must say, Mingenew itself is blessed with a natural landscape that is like no other, even in our neighbouring shires. 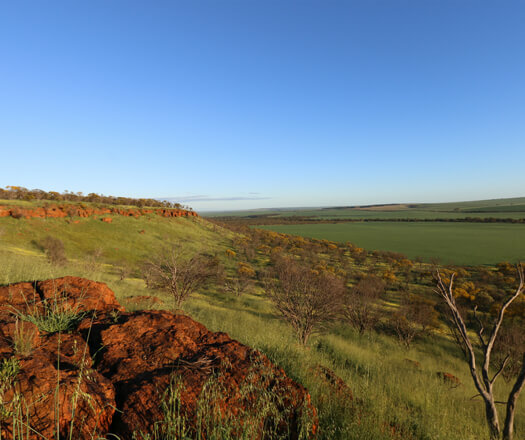 In season, wildflower that is, Mingenew Hill and its views are breathtaking. 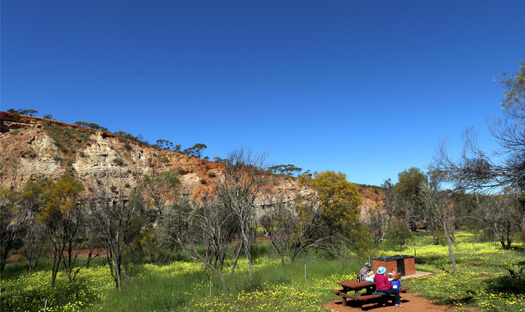 We are covered in a blanket of canola which, set against a sky of impossible blue and rich red rock, makes for a perfect picnic, walk or a nice glass of wine. 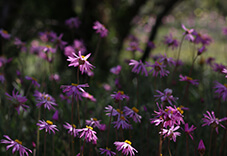 We are also very short drives to other key nature reserves and flower trails. 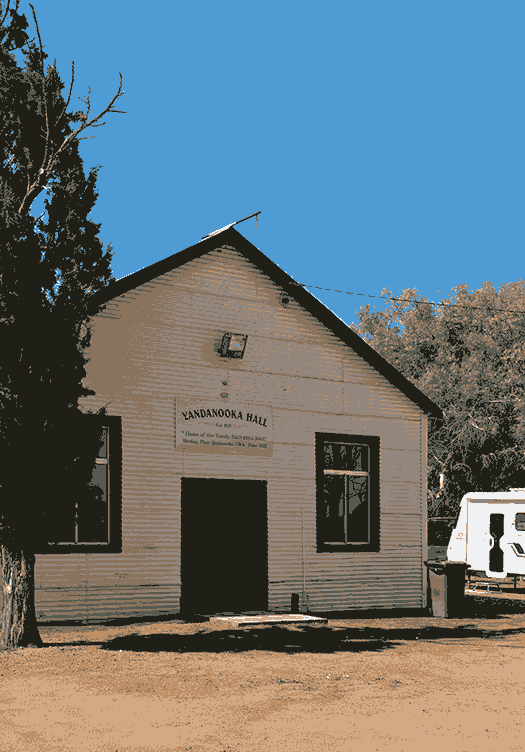 We are even lucky enough to be just half an hour from the sleepy seaside resort of Dongara. Whilst our landscape is rich in things to see, our town is dotted with points of interest and for those of you from the city, Mingenew is real country and even popping up the hill to our sporting and bowling club could turn into a great experience for you. Our local farmers, some of whom live and work on very large and remote properties, love nothing more than a yarn with ‘city-folk’ and finding out what’s happening down the road. 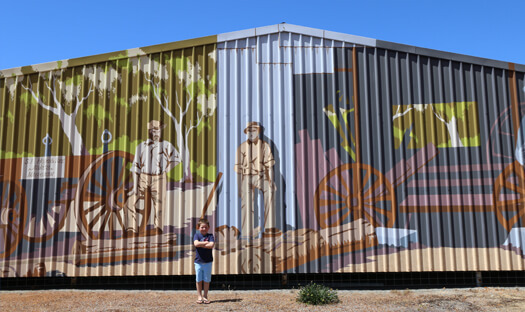 You can click on the icons below for info or call us and have a chat about the many things to see and do in Mingenew. 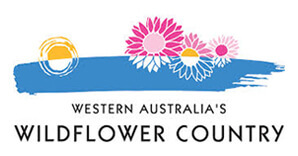 Arguably the most spectacular wildflower site in Western Australia and Mingenew is right on its doorstep! 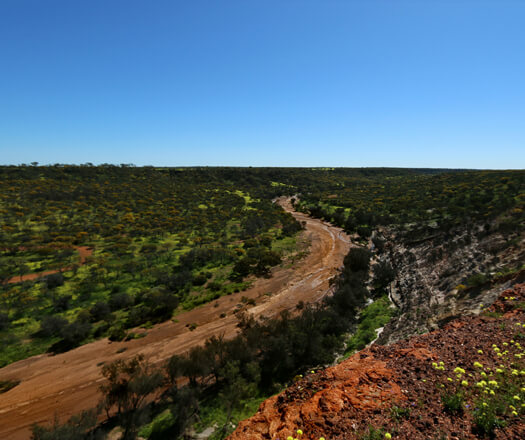 Just over the railway line on Mingenew - Mullewa Rd, you’ll find breathtaking views. 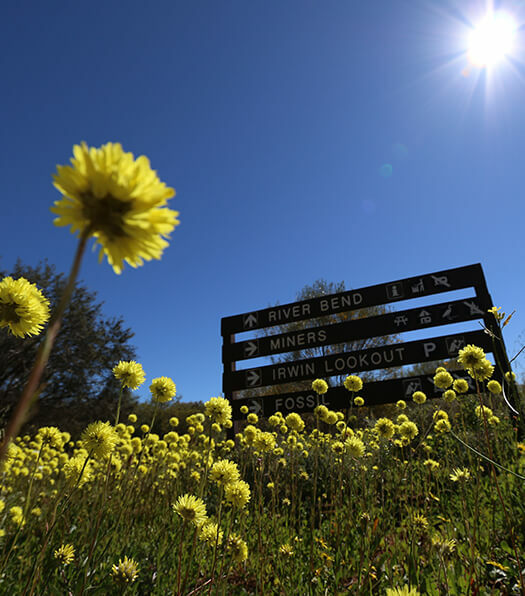 Mingenew Hill is perfect for picnics and shutterbugs alike! 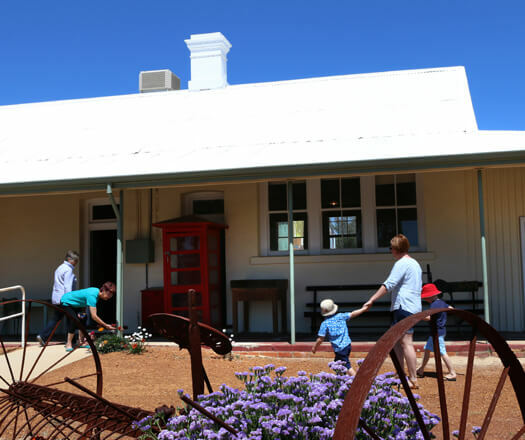 Our local historians keep the Mingenew Museum in beautiful condition, with artefacts dating right back to the 1850s. Open select days in peak season (late July to September) or visit our Shire office to borrow the key and have a look inside. 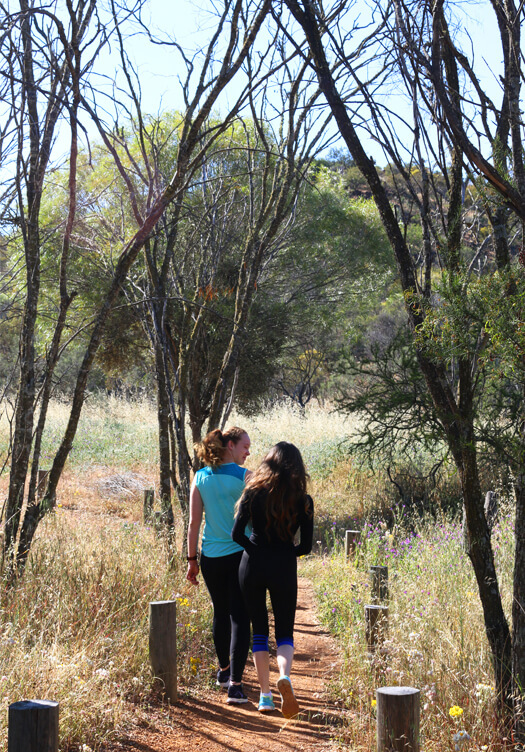 Just a few minutes from Mingenew, Depot Hill provides one of Wildlower Country’s most beautiful walks. Mingenew is the very heart of WA’s Wildflower Country. Come and visit wildflower heaven. Just out of town, in season Yandanooka is covered in a carpet of wildflowers. Pack your camera, a picnic basket and head off to make some memories.